Conversations: Learning and Growing: California and Houston Fun! My travels to California and Houston were both exciting and invigorating in my work with other educators. I was thrilled to work with very enthusiastic people who were ready to implement the iPad in the classroom. We learned so much together and I wanted to share 2 sets of slides that I worked with. Please ask if you need specific app names or anything clarified! 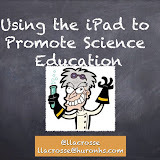 Science Education Bumped up with iPads! 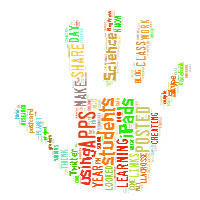 You can utilize the iPad for everything from turning it into a document camera, finding great apps, building amazing projects, connecting your students, using fun sensors, and MORE! 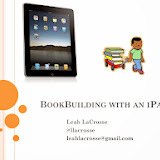 Book Building with iPads...it can be a wicked cool collaborative process for exploring content!